Dienes, Z. 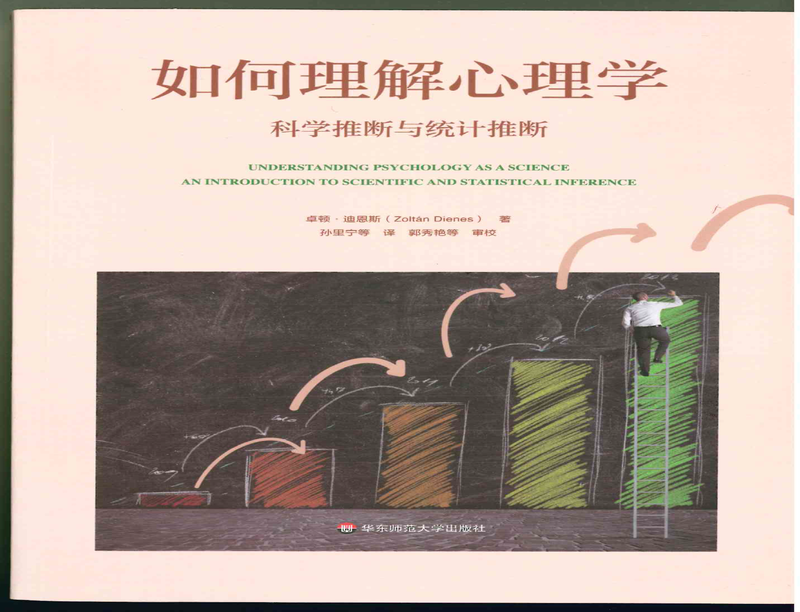 (2008) Understanding Psychology as a Science: An Introduction to Scientific and Statistical Inference. Palgrave Macmillan. 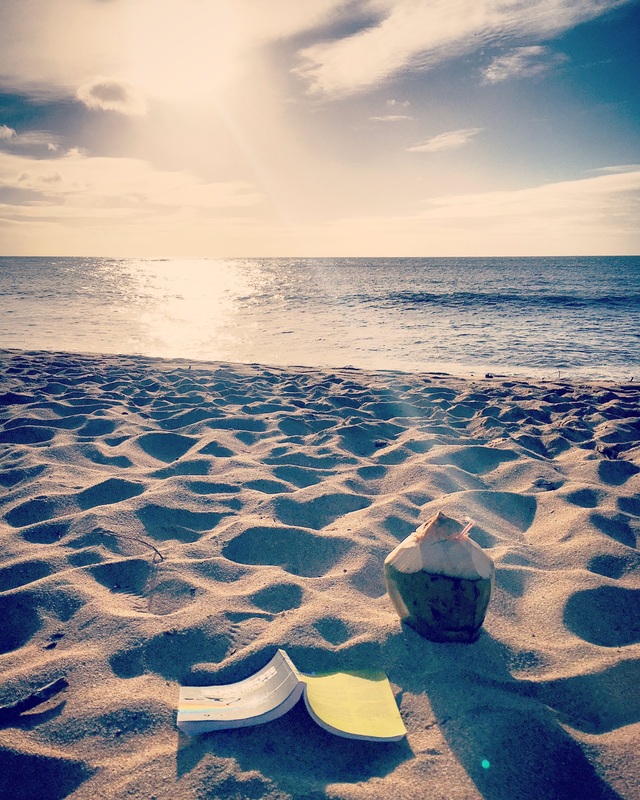 NEW: Interview with Daniel Lakens about the book! Do you know the absurdities that follow from conventional statistics? How could we be doing our science differently? Understanding psychology as a science shows how grasping philosophical ideas about scientific inference has important practical consequences. Popular misunderstandings and conceptual abuses of the orthodox approach to statistical inference are considered. As the orthodoxy comes under increasing attack, the book also shows how we could be approaching statistical inference completely differently, i.e. 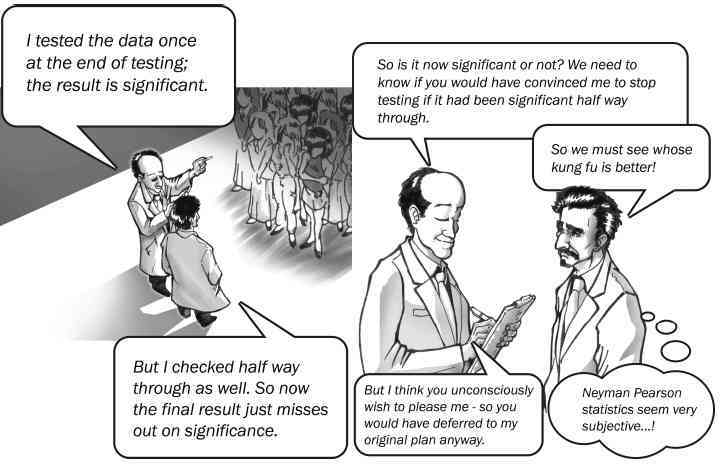 via the Bayesian or likelihood schools. 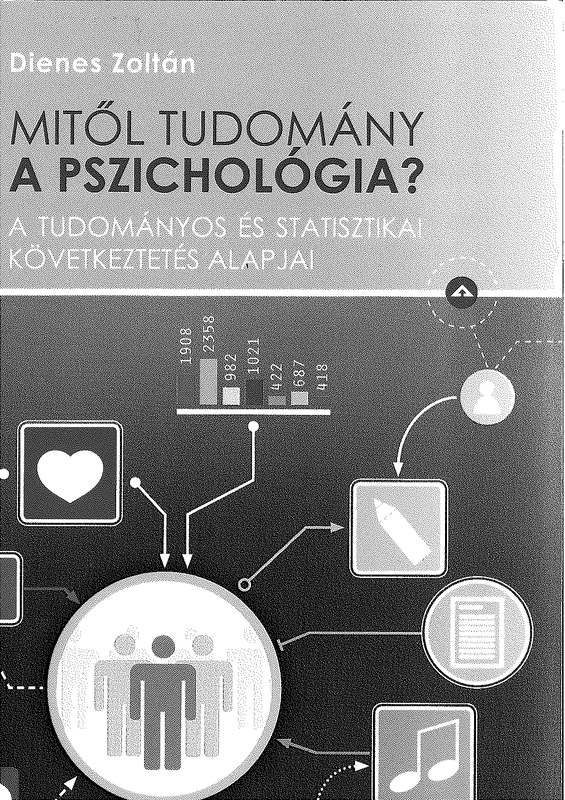 The book enables psychology students to perform their own simple Bayesian and likelihood analyses to facilitate understanding of the underlying concepts. The strengths and weaknesses of the approaches are made available to everyone from the average psychology student to the seasoned researcher so that each person can at last make an informed choice. The relevance of the philosophies of Popper, Kuhn and Lakatos to research is also shown and each chapter provides advice on critical thinking to substantially improve students research skills. The book fills a gap in the education of our students that has existed far too long. Contents. Click on each chapter for web material relevant to that chapter. Other than the preface, this material is not advertising nor excerpts from the book, but mainly more technical details useful to those who have read the book so they can better put the ideas into practice. An example assessment I give our Masters students; see also individual chapter links above for more assessments. "An engaging and provocative exploration of scientific inference in psychological science -- one that lays bare the conceptual underpinnings of our ways of thinking about these matters and forces us to confront alternative perspectives. Everyone who wishes to be clear about how well any scientific position is supported by data will want to be sure they understand the ideas presented in this book. Highly recommended for students and professionals alike." "Overall this is one of the most original teaching texts that we’ve had the pleasure of reading for some time. It is well-structured and very readable. For almost any level of psychology student it manages to present the philosophical basis of statistics in a highly approachable manner."
. . . [Dienes] begins with the proposition that [the accepted widsom] has produced generations of social scientists who fail to appreciate the deeper, delicate foundations of their fields, and we are the worse off for it. This volume has the potential to stimulate a dramatic and welcome shift in how social scientists are trained." "I can thoroughly recommend this book. Dienes makes topics that are often dull interesting, covers positions he does not favour fairly and comprehensively, and describes all the important issues succinctly. 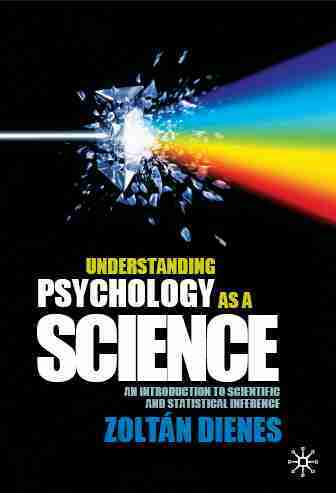 In short, a really nice, brief, but comprehensive account of the important issues underlying psychology understanding." "This book presents psychology students with a careful line of argument, and is in itself an excellent example of how to write. It provides an authoritative and lucid treatment of the scientific nature of psychology that will appeal to undergraduates and anyone else interested in the tussle between science and irrationality." "An engrossing read. Dienes relates statistical controversies to general issues in the philosophy of science, and in so doing puts common misconceptions right. The book is full of advice that makes the difference between a mediocre and expert researcher. Despite some difficult passages I was drawn into the story and imagine that when reading about statistics - remarkable! In sum: A very useful correction to our typical methods courses for advanced undergrads, graduates, and even many established researchers." "Students should have - and perhaps need to have - a deeper understanding of how theories are tested and evolve. Likewise, most researchers would be well served by a deeper understanding of the logic, assumptions, and implications of our commonly used statistical procedures. Dienes' book speaks well to needs, providing a sophisticated and clear tour of the conceptual and philosophical foundations of psychological research. I enjoyed the book and will surely be influenced by it in my teaching." My first task as a psychology undergraduate was a short essay entitled ‘Is psychology a science? Discuss'. My dismal mark of 58 per cent was (I was told) to be expected for a first attempt at university-level writing; but had this book been available to me then, I would have been quietly confident of bumping that mark up. The way in which Dienes presents the conceptual debates and psychological principles in succinct, brief and coherent pieces allows the information to be digested in a much simpler manner than I remember through my own experience; and the cartoon-style portraits of Popper and Kuhn among others offer a reinvention of the usual style in which such thinkers are portrayed to students. This, along with the straightforward wording, allows the complex issues of philosophical principles, scientific inference, statistical testing and argument to be presented in a clear and accessible manner. The book excels in providing the reader with a substantial understanding of how theories emerge and are tested. Furthermore, the nature in which Dienes examines the logic, assumptions and inferences of the most frequently used statistical tests allows us as researchers to ensure that we are employing the most rigorous of approaches within our own research. Overall this is an exceptional overview of the scientific principles that underpin the discipline, and should be welcomed by teacher, researcher and undergraduate psychology student alike.